Your eye health is one of the most critical aspects of your overall health, and few people realize that the two are intimately intertwined. Just as the quality of your vision can impact your general health and happiness, the quality of your overall health can adversely affect your vision. People with certain medical conditions are acutely aware of this. Diabetic people, for instance, know all too well that if left unmanaged, their condition can result in the permanent loss of their vision. Today we’re going to explore some of the ways in which high blood sugar can harm your eye health and discuss the preventive measures you can take to ensure a long, happy, healthy life for yourself and your eyes. High blood sugar (hereafter called hyperglycemia) is an ailment that afflicts people whose diabetes is not well controlled. It can affect both Type 1 and Type 2 diabetics, and there are two main kinds: fasting hyperglycemia and post-prandial hyperglycemia. This refers to blood sugar higher than 130 mg/dL (milligrams per decileter) after not consuming food or drink for eight hours or more. This refers to blood sugar higher than 180 mg/dL two hours after eating a meal. People without diabetes rarely have blood sugar higher than 140 mg/dL two hours after eating, which should give you a sense of what a high number this is. 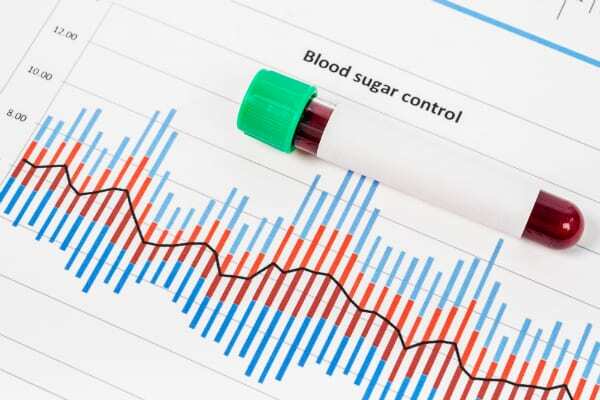 What Causes Blood Sugar to Rise? The good news is that if caught and treated, hyperglycemia can be controlled through a combination of lifestyle changes and medication. Why Does Hyperglycemia Affect Vision? Hyperglycemia causes the lenses of your eyes to swell, which in turn leads to temporarily blurred vision. In more serious cases, untreated hyperglycemia can lead to a complication known as retinopathy. This is when high blood glucose damages the blood vessels in your retinas. The good news is that, although serious, this condition can be prevented and treated. By undergoing regular dilated eye exams, you can help stay ahead of any damage that may occur to your vision due to complications from diabetes. How Can I Protect My Vision if I Have Diabetes? Here at Florida Eye Specialists and Cataract Institute, we advocate prevention above all else. If you make a point of taking care of your body before vision problems have a change to develop, not only are you increasing the longevity of your sight, you’re also reducing your risk of experiencing further complications. For diabetic patients, we reinforce your primary caregivers’ recommendations about diet, exercise, and medication. That means cutting back on simple carbs and sugary foods and beverages, eating a diet rich in dark leafy greens, exercising regularly, and being diligent about testing your blood sugar and taking any medication you may have been prescribed to reduce your blood glucose level. The health of your eyes is only as good as the health of your body as a whole. Make sure you’re caring for the complete package! Disclaimer: This article was for informational purposes only and should not be considered a substitute for medical care. For more information or to schedule an appointment, contact us at Florida Eye Specialists and Cataract Institute.